The singer also reveals how life on the road is different now that he's married. 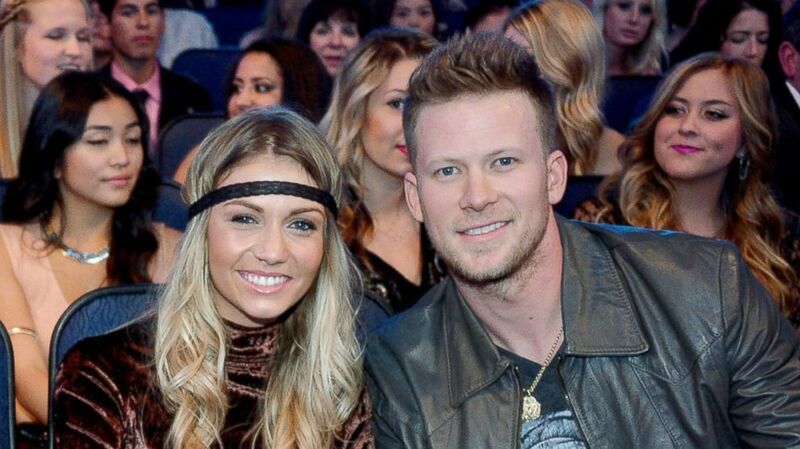 camera (Frazer Harrison/Getty Images) Brian Kelley and Brittney Marie Cole attend the American Music Awards on November 24, 2013 in Los Angeles, Calif.
Brian Kelley from Florida Georgia Line married Brittney Marie Cole in December and the country star said being on tour with his wife couldn't be any better. "It feels perfect man, I can't think of one thing that's missing or lacking in our life," he told ABC News. "Having that person that makes you better, completes you, you want to see before you go to bed and right when you wake up, there's something to be said about that." In fact, not much has changed since getting married, maybe just a little more space for the newlyweds. "It's a little different, we got our own bus and Tyler's on the other bus, he's got a couple guys on there," he added. "Just get a little better rest maybe." The 28-year-old singer married Cole, 23, in an outdoor ceremony in Nashville last year and since then, he said his wife loves being on the road with the boys. Something Kelley said fans should also be happy about when it comes to the future of the duo's music. "She loves it, she loves being on the road, just a cool time for everybody, very exciting," he said. "Being married, I don't think that's going to change our music, maybe even make it better." As for kids, Kelley surprisingly said he's good for now. "No, no. We have two sugar gliders, basically in essence little flying squirrels and we just got a puppy ... she's like 9 weeks old," he added. "So, no real kids, just a couple sugar gliders and a dog, for now." With Tyler Hubbard, the other half of the hit duo also in a serious relationship, Kelley said he's not worried about friends making jokes that the two are missing out on the rock star lifestyle. "I've never been one to let anything get under my skin," he said. "We probably got better comebacks then they got anyways." Kelley spoke to ABC as part of their work with Outnumber Hunger, a charity to help feed local families across the country. "Last year, we got well educated about Outnumber Hunger, being involved with it was very cool to us," he said. "It's even more cool this go around, this year with the success we've had." Kelley said his father really instilled the desire to give back into him and his sister at a young age. "When I was 14, we had a Christmas where my dad, he said, 'I'm going to take you down to the projects, to see a little less fortunate people that don't really have money for Christmas,'" he said. "That was just an incredible lesson at 14 years old."